There’s a good chance you’ve been enjoying Heather Campbell‘s work for some time without ever knowing it was hers. Team Fortress 2 was released six years ago with neither back story or lore. The game was, after all, just a first person shooter with fast respawn times. This didn’t stop each of the classes from having complex backgrounds that reached far beyond their stereotypes; the suave Frenchman; the cocky scout. Gamers, like nature itself, abhor a vacuum, so it wasn’t long before fan art and stories started popping up everywhere. In the absence of canon, fans made their own. 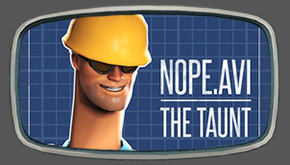 Valve’s canny Fortress team quickly recognised that this was to be encouraged. The WAR! event gave players a chance to pit demomen against soldiers while simultaneously providing artists an official gallery to show off their talents via the propaganda contest. To accompany the update there was a comic that focused entirely on a character who up till then had existed only as a voice: the administrator. This image of a hard-hitting, clerical, old mare of a woman was pulled directly from an image Heather had posted to her Deviant Art blog under the username Makani as “the announcer” a few months before under the title, “mission begins in five”. It appears that in that time Valve had contacted Makani, brought to her their studio in Seattle and offered to buy the likeness from her. While it takes a village to raise a child, in Valve’s case it takes a cabal to make a game. This can make it tough when it comes to figuring out exactly who did what. 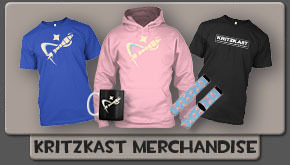 The lore surrounding the Mann Co. universe is no different. 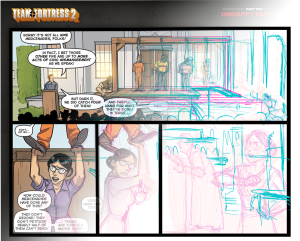 Makani has contributed her artistic skills here and there to various games but if you want to see something that’s clearly her very own, and in some detail, you need go no further than the Team Fortress comics: Blood Brothers, A Fate Worse Than Chess, Ring of Fired and Unhappy Returns. 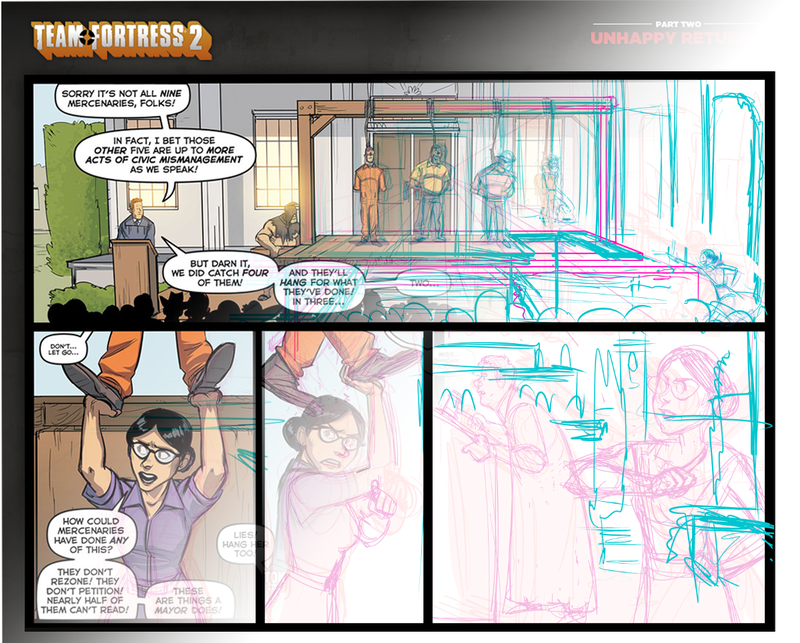 With the latest of these just out now we asked Makani to talk to us about her time in Valve, about her path to her current position and to chance our arm with a mention in the next comic. I really love Heather’s work. She is the BEST!!! Great job Heather. You make us proud. What an amazing artist! I wish she had more information on her site, I knew nothing about who she was until I found this interview. Makani’s art is fantastic and the fact Valve hired her shows their wonderful taste in artists. 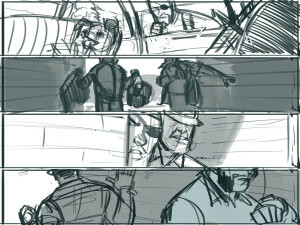 Your drawings of Engie are among my favorites. Badarse bookwork + southern fried genius = YUM. PS: Miss Pauling gets my vote for Tenth Class.